Our Naples serpentine, and surrounding community marble and stone restorations are always interesting to us. Every slab of serpentine that makes it to your counter-top or tiles is comprised of different types of minerals than the next. Through years of experience, our marble restoration technicians have gained an understanding of how to deliver your desired finished results while maintaining, polishing, or restoring your serpentine floor, serpentine countertop, or serpentine wall. Being the longest standing Naples marble restoration company in the region has afforded us the expertise to handle any serpentine stone related problem presented to us. Jim Lytell started his Flooring Business in Ft. Myers Beach, Florida back in 1969. Since 1981, Jim Lytell set the marble restoration industries’ uncompromising standards, and continues to pioneer the marble restoration industry today. We love to serve our surrounding community! From big jobs to small polishing jobs, local jobs to far away jobs, we can do it all. 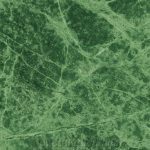 When talking to Jim Lytell Marble and Stone Restoration, or your local marble restoration company, it is valuable to have some information about your serpentine stone floor. Your serpentine stone floor is a siliceous form of igneous rock that has been metamorphosed into a different form. It is often mistaken for marble, most commonly mistaken are green in color but not all green marbles are serpentine. Serpentine is actually magnesium-silicate based as opposed to marble being calcite based. Rocks composed predominantly of such minerals are correctly called “serpentinites”, and are commercially sold as a marble because they can be polished. Usually serpentinite contains iron in the form of magnetite, which gives it a dark color. It is also composed of many other minerals called serpentine group minerals. Serpentines are generally dark green in color with markings of white, light green, or black. 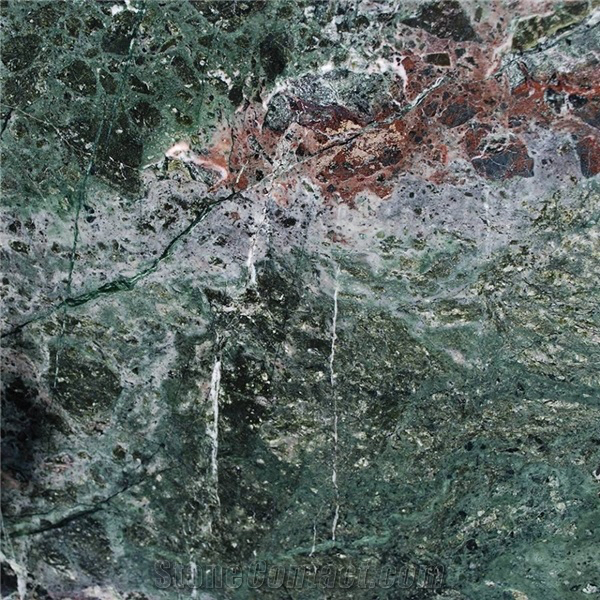 Serpentine exhibits greater acid resistance and abrasion resistance than does a true marble. 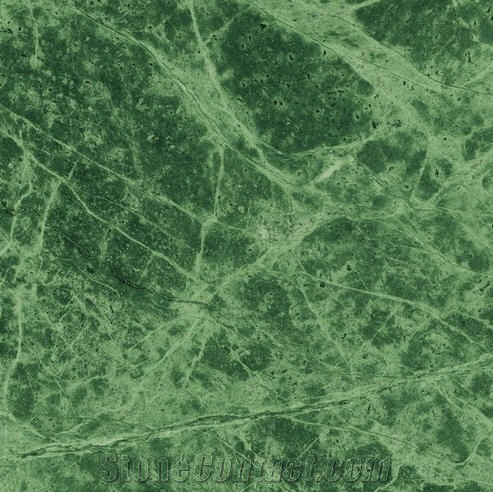 These properties make serpentine a popular choice for both kitchen counter and exterior applications. Serpentine is very sensitive to water before sealing and should always be sealed first before grouting to prevent spalling. Also never to be installed with water based mortars, as spalling, flaking, peeling, and pitting on its surface will occur. Epoxy or acrylic polymer is recommended in the place of water to the thinset. Serpentine is found in China, Italy, USA, England, New Zealand, and Korea. Free on site estimates for your serpentine stone floors or counter tops.